How to become a MI6 Agent. have you ever thought about working for secret services? 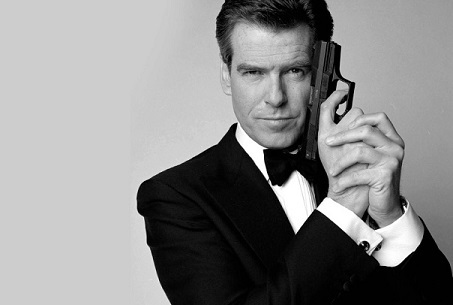 Read this free guide about becoming a MI6 Agent in the UK. MI6 Agents are persons who are responsible for investigating or surveying to gain facts or evidence for the security of the country. The job usually involves a lot of surveillance and spying activity. MI6 Agents are generally expected to be reasonable, fair, Level -headed and willing to work unsociable hours and capable of finding out the truth. The hours vary depending on what is being investigated. Being a MI6 Agent is a good job for many people, but the key traits to have are a sociable personality, helpful, intuitive, intelligent and calm under pressure. You must be capable of maintaining a false identity. To become a MI6 Agent you must have the right attitude and skills. The Secret Intelligence Service often headhunts prospective candidates from top universities based upon their degrees. They do have a website from which you can apply to be an intelligence officer. The process can take up to 10 months as there is high demand for positions and it involves many different steps, including an online aptitude test, and several in person interviews. It is beneficial to anyone wishing to become an intelligence agent to speak foreign languages as often those who bear a threat to the United Kingdom do not speak English. You will of course have to have a Criminal Records Check. Standard duties for MI6 Agents involve surveillance duties where you will have to follow or ‘spy’ upon someone in order to gather intelligence about that person. You may be required to photograph them, examine their movements, or document their interactions with others. You may be responsible for handling information that is top secret. You may be required to track someone down who has gone missing, or who is in hiding, and you might have to confront them to bring them to justice. You may have to work undercover or under an assumed identity and keep to that identity at all times, as any discrepancies in your story can jeopardise the intelligence you are gaining, so you must be capable of being inconspicuous. Some agents for MI6 are office based and may deal with large amounts of paperwork. These may vary depending on the duties and job you are doing. Many MI6 Agent Jobs can be 9-5, whilst just as many can be out of hours. Some jobs may require you to work into the night, or the early hours of the morning, others may require you to travel long distances or possibly even abroad. MI6 Agents can expect to progress through their careers with improving skills and knowledge as well as time served. There are many various sectors within MI6 in which one can work, from office based to field based. With time service you can expect to progress up the ranks to becoming a manager or senior intelligence officer. The average salary for an entry MI6 Agent is £24,000 PA. The average salary for a qualified MI6 Agent is £38,000 PA.